The best multi-day river trip ever with Ben & his crew! 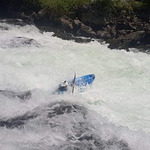 I recently took a multi-day trip down the Río San Pedro with Ben and his crew. 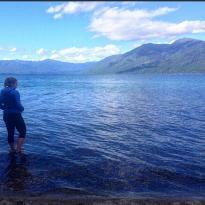 The weather, river, and scenery were just amazing. You're really missing out if you just stick to the basic 90 minute trips down the Trancura or Liucura. But what really made this trip was the professionalism and skill level of Ben and the rest of the staff at Kayak Chile. 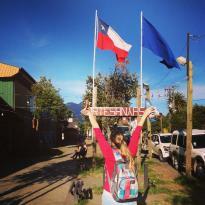 I'm a resident of Pucón and I know from first hand experience that not all tourism companies in Pucón are the same. 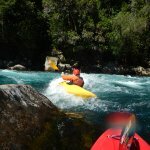 For any river trips Kayak Chile should be your first and only choice. 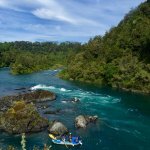 I did a weekend-long guided whitewater trip down Rio San Pedro with Kayak Chile and it was absolutely incredible!!! Kayak Chile staff were extremely knowledgable about the river and river safety. They also knew a lot about the local ecology which added depth to the trip and made it very interesting. The entire weekend from gear to food to transportation etc was very organized making the trip such a breeze. I kayaked down in a guided duo and we also brought a playboat in the raft for the surf waves. We had some people on the trip who knew how to kayak, but it was also accessible for those who were less comfortable on whitewater because there was a guided raft. The rapids themselves were amazing..the first day is a good warm up for the bigger rapids in the morning on the second day. We camped halfway down the river beside the rapids and ate asado on the beach beside the teal water. Absolutely incredible!! Thanks Kayak Chile for an incredible weekend!!! 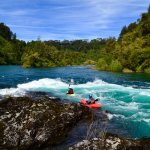 Awesome guides and beautiful rivers! Excellent Guide & Beautiful River! What a fantastic day we spent with guide Daniel and Kayak Chile! 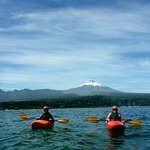 A full day paddling on Lake Villarica and Rio Liucura. All the gear, boats, paddles provided. We were new to river kayaks but Daniel got us comfortable and paddling in no time. 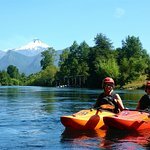 If you have some small boat experience and want to get away from the bustle of Pucon, this is a must. 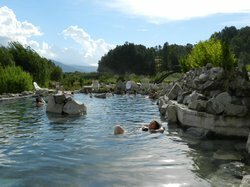 Rio Liucura is gentle paddling and floating in a stunningly beautiful place! Our guide Daniel was knowledgable, experienced and created the perfect day for us. Lunch was also delicious! Great value and one of the best experiences of our trip! We are so happy to hear that your time with Daniel was so wonderfull. He spoke so highly of his day with you two. 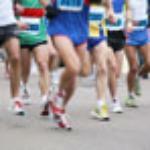 It was wonderful for him to have two clients who were so interested in the surrounding area. Thank you again for coming to us as at Kayak Chile and choosing us. We hope the rest of your travels were ejoyable. 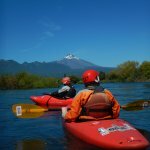 Went down to Pucon for some adventures and found Kayak Chile. The desk staff was great and very helpful booking us for a half day down the river. Our guide Daniel was amazing and showed us one of our most memorable days on the river. Would highly recommend, you do not need to be experienced they find the right part of the river for whatever level you are at. Again can't say enough about how great of a guide and staff experience we had. Thank you so much for your wonderfull review and we are so glad to hear of your great time with Daniel. He loved getting to know you and spending an afternoon on the river with some fellow climbingers and appreciators of adventure. We hope that the rest of your travels were good here in Chile and thank you again for choosing Kayak Chile when exploring Pucon. We had three days of lessons with Kayak Chile. 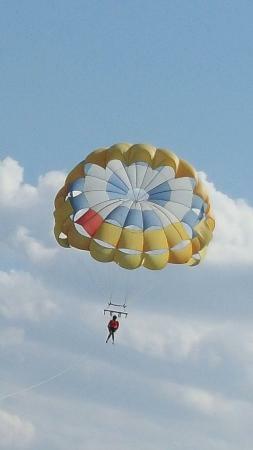 Daniel was our instructor and he was fantastic. He was super patient with us, very clear with his instructions, and was just a pleasure to hang out with for three days. The equipment was very good and newer. We always felt super safe and never pushed beyond our comfort level but still pushed to challenge ourselves. We highly recommend this company to learn to river kayak or any other activities they offer. Thanks, Kayak Chile!! Daniel thuroughly enjoyed spending those three days with you and the other people in this group. Multi day classes are wonerfull for really getting and understanding of the river as well as for the instrutor as they get to watch their students improve day by day. 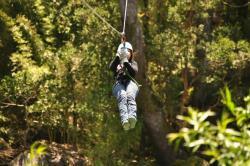 We are so grateful that you chose us here at Kayak Chile to help with your retreat.